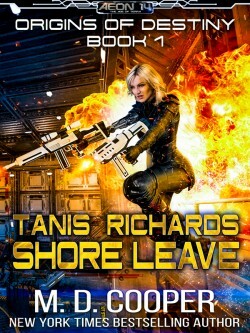 Commander Tanis Richards has finally come into port after a seven month tour on the edge of Jovian space, and she’s looking forward to some much deserved shore leave. But Tanis’s commanding officer has other things in mind for her. Enfield Technologies has developed a new technique to pair enhanced L2 humans with AIs, and the military wants Tanis to undergo the procedure and enjoys a convalescence at The Grand Eire, Vesta’s most luxurious resort. Everything starts to go downhill when Tanis sees someone who should be nowhere near the resort–largely because Tanis had killed him a week ago. 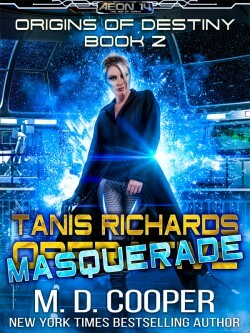 Tanis is thrust into a mysterious conspiracy that could bring down the Federation, but when she gets to the bottom of it, what she finds is…none other than herself. Someone just killed Tanis Richards and replaced her with an Infiltrator Chameleon. While finally getting some much-needed shore leave on Mars, Tanis gets a message from Harm Ellis with instructions to go to Ceres and hunt for a missing operative . . . except she never makes it. At least, that’s what she’d like her would-be killers to think. With Darla’s help, Tanis goes deep undercover, tracking the Infiltrator Chameleon from world to world, only to discover that it intends to kill a head of state in her name. Now Tanis must race against the clock to keep from becoming the most wanted criminal in the Sol System.